// Most of the following code its not necessary at all. // TeeChart editor dialog or Object Inspector. 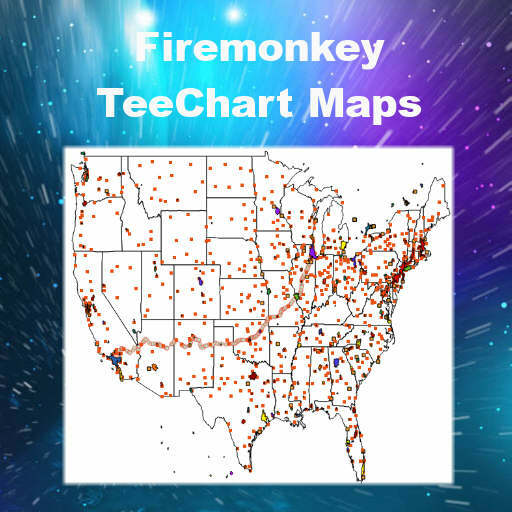 Head over and check out the full blog post about loading GIS map data in TeeChart and then download the Firemonkey demo. the demo:TeeChart Mapping Data Demo Source Code In Delphi XE6 Firemonkey On Windows And OSX. The demo is good. but it’s populated area serie created by loadmap() is not label. All polygon’s text is empty. why? How to load label information? Thinks a lot.